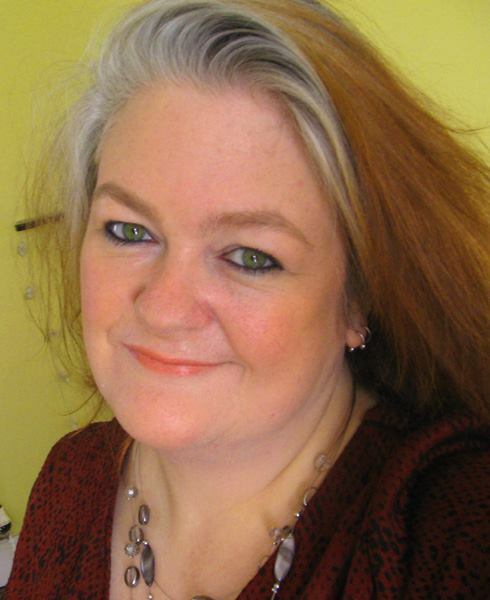 The reason I am posting this is because one of my blog readers, Louise, was so very kind and sent me the most amazing and cool gifts as way of saying thank you for the recipes. 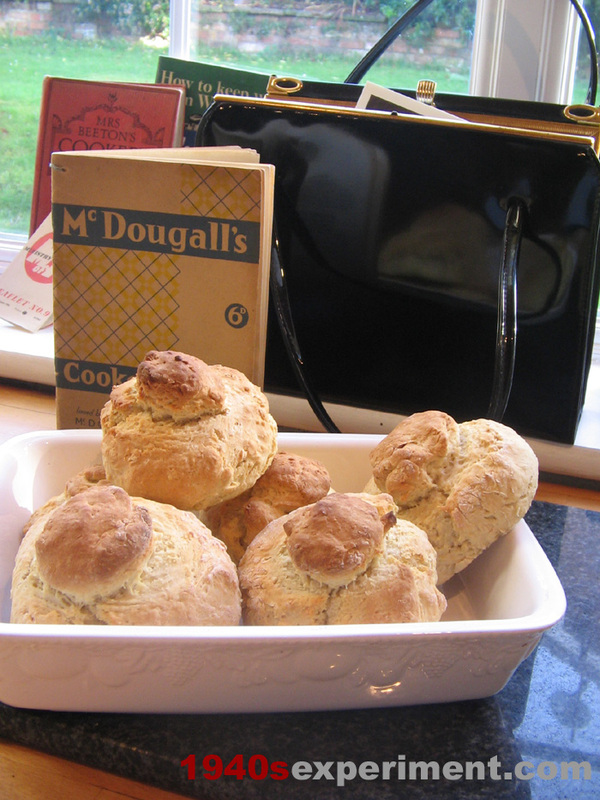 One of the gifts was an old McDougalls Cookery Booklet and this is where this recipe came from! I will take photos of my gifts and share them with you tomorrow as they are so awesome! Put the flour and salt in a basin and rub in the butter or margarine and mix to a soft dough with the milk/water. 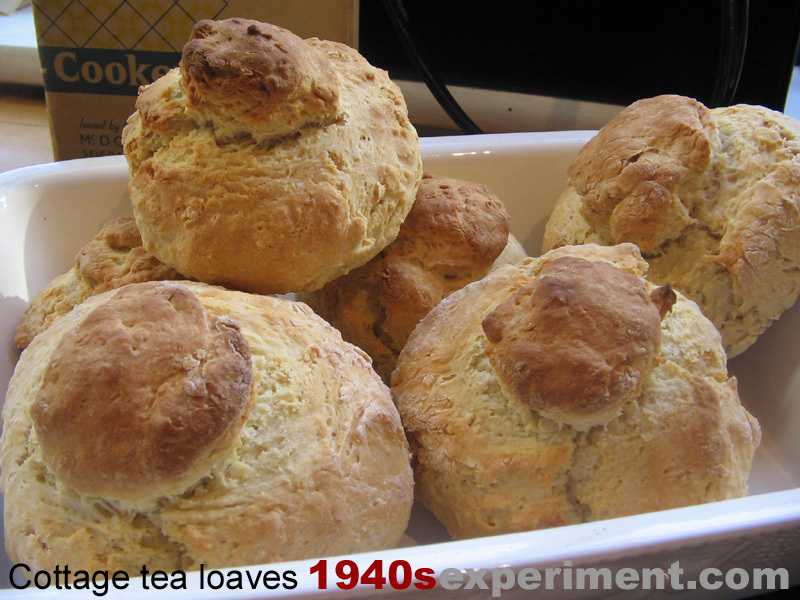 Bake in a moderate oven (about 180) for 25 minutes. It’s funny how the world works. I seemingly had come to the end of the road again. After 5 months of job hunting I came to the realization that not having worked in the UK for over 10 years, was a huge stumbling block to do the jobs I really wanted to do. I don’t have a marketing degree or anything fancy like that, just life experience. With no job, I also came to the realization, that even if I did have one, it would be impossible to afford the rent on this WONDERFUL house we have been so happy in since moving back to the UK. My practical head took over, we’d have to find somewhere smaller and much cheaper. That’s when I found that the majority of landlords, through letting agencies, won’t accept tenants that claim housing benefit, and if they do they require a guarantor… I had just started to claim and now it looked like I’d find it impossibly difficult to find a cheaper place to rent. And then something quite wonderful happened. To cut a long story short she went to see some of the houses on the list and liked the one that I had liked the look of. She went to see it, it had a WW2 bomb shelter in the basement, it was meant to be.. I went to see it yesterday…it’s a GREAT place! If everything moves forward as planned we’ll be moving in end of January..
AND if that wasn’t enough excitement for one day I GOT A JOB!! 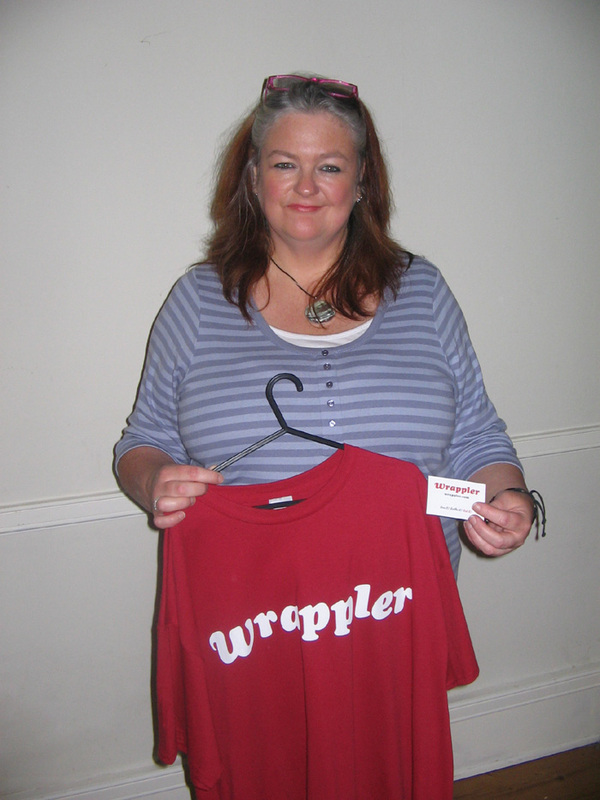 A creative and exciting job with a new social media start up company called WRAPPLER! Yesterday I went to Wrappler HQ and it was agreed I’d do 16 hours per week, 4 days a week. I’ll essentially be doing what I do best, creating, communicating, getting excited, promoting and working hard for something I truly believe will be GREAT! So Monday I sign off (yay!) and venture forth into an exciting future. Not physically working, not being productive has been taking it’s toll so this has come at the perfect time. 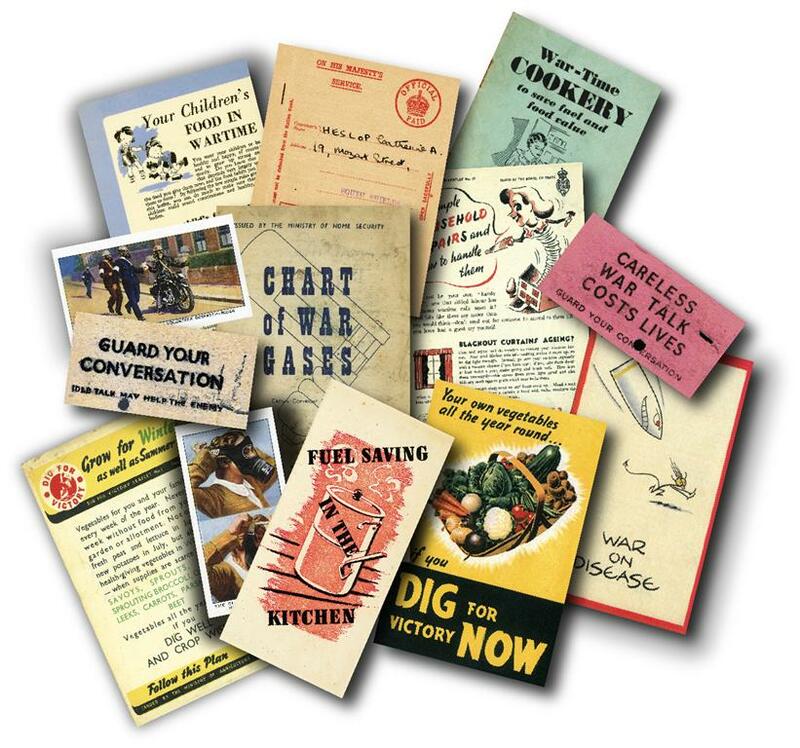 Finally, today I am sending out everyone’s replica ration books and the home-front memory pack to all those who entered the recent 1940s Wish List contest… I THINK I have all the addresses (and wow they come from all over the planet!!!) but if I find you haven’t sent your mailing address to me I will send a reminder. WINNER of the Home-Front Memory Pack is.. Drawn at random from all those with public lists and lists with 5 or more items is…. And because I’d just feel terrible for those that didn’t get drawn as a runner up after supporting my friends by creating lists I’m giving EVERYONE who entered a replica ration book. ENTRIES – Please check out these great 1940s Wish-Lists! Last call for 1940s Wish List entries! WIN THIS 1940s HOME FRONT MEMORY PACK!!!! There will be one main winner drawn out of a hat and 5 winners of a ration book. WRAPPLER is their baby, it’s a damn useful free service and its addictive and it’s fun! Essentially it’s a website for keeping ALL your lists on, wrap lists, crap lists, fun lists, useful lists, birthday lists, wedding lists, Christmas lists… I even made a LUXURY list the other day just incase I ever hit the jackpot on the lottery! Strangely enough all my luxury items evolve around food and drink. Click here and you can see what I mean! The copper pans are obscenely expensive but the curves and their beauty make my throat dry..
I’ve started putting together a 1940s WWII Wish-List with items I’d love to own. I’m adding to my list as I find things and now I know I’ll never lose my list. 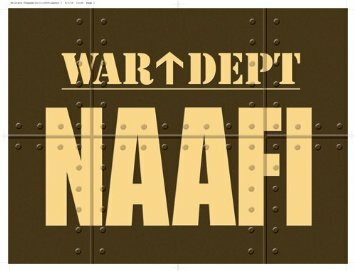 Top of my wish-list is a very simple War Department Naafi Sign for a fiver… the nostalgia is oozing from my pores. SEE MY LIST HERE! Bertie, Caroline and Ben Wrappler have worked so hard on their idea, their dream and they have been so good to me, helping my family and I move to Nottingham and settle that I’d like to try and support their venture in anyway I can so I’m running a little competition that I hope you’ll enter. Go to WRAPPLER, sign up and make your own 1940s Wish List (please call it that) and list 5 items or more on your list and then share it on Facebook (there is a Facebook button) and/or paste your link below or send it to me at 1940sexperiment@gmail.com so I can post it on my blog. All entries will go into a hat and I will draw 5 at random. 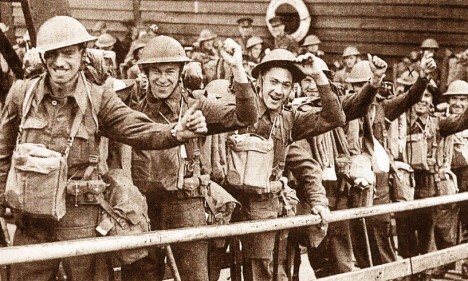 The first drawn will win a wonderful Home-Front Memory Pack that contains so many wonderful replica WWII items and the 4 runners up will receive a replica ration book. The competition closes on November 15 just 7 days from now. 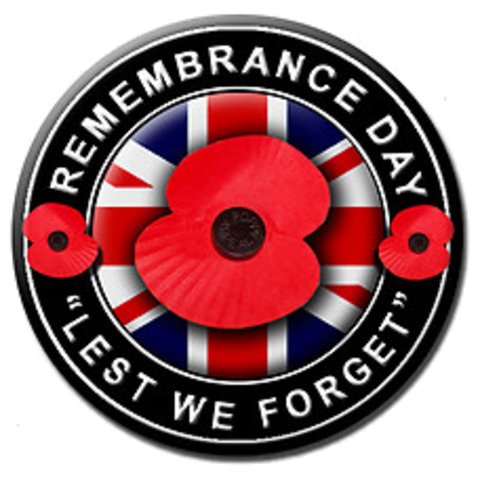 If you don’t win don’t worry as I will have some memory packs and rations books for sale after that date and they will be very inexpensive. Can’t wait to see what you put on your lists so I can pinch them and add them to mine 🙂 Heehee! Thank you for supporting my friends and WRAPPLER and above all STRONG, CLEVER, WOMEN!!! PS: Remember- once you have made your list on WRAPPLER send me the link! Gosh- everything is busy, mostly in a good way but also a few stressors and my blog has taken a back seat a bit, but I promise to start updating regularly again especially as I’m incredibly motivated. It’s hard not to be really as my friend (who I’ve now enjoyed two fun weekends with) has been incredibly supportive and encouraging on a daily basis. Just what I need! So on Monday I weighed in and had lost another 2 lbs on top of the 2 lbs I lost the week before, the 4 lbs the week before that and the 8lbs the week before that…. 16 lbs in 4 weeks and now I weight exactly 19 stone (which I believe is 268lbs). I’m aiming for a good weight-loss this week. Thanks for continuing to read and leave comments and I do enjoy reading them all and the contributed recipes too! I like the sound of that Mock Goose! PS: I’m actually 266 lbs!! Haha Thanks Paul Savage for making me feel 2 lbs lighter today! !